Orso Bayside Restaurant The Spit. It’s difficult to love one wedding more than another, as we really do love them all – but Caroline and Mick’s summer wedding at Orso Baywide Restaurant, The Spit Mosman, was SO beautiful – we’d have to say it’s definitely one of our favourites. Colours: Palest pink and white for the bride. Hot pink, pale pink and apricot for the bridesmaids. The boys wore a single white peony, and the bridesmaids and flower girls had light fern and vine flower crowns with a hint of babies breath. Florals: David Austin roses, peonies, spray roses, carnations, babies breath, mulberries, assorted ferns and seasonal foliages. Styling: Unstructured floral styling. The bouquets featured long satin ribbon tails. 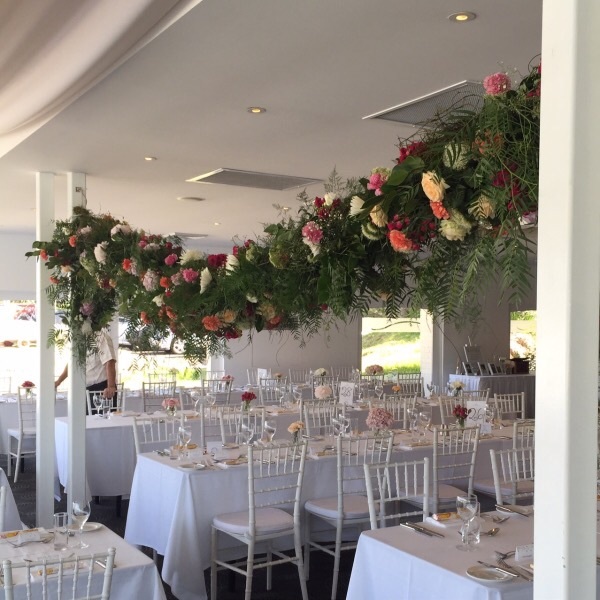 A gorgeous wedding, the colours worked so well together. Peonies are so popular for weddings, and they certainly stood out as the feature flower of this wedding. 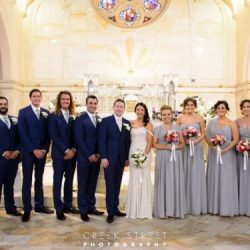 The bride looked amazing, her bouquet was stunning, and the colours of the bridesmaid’s bouquets looked fabulous against their steel blue/grey dresses. 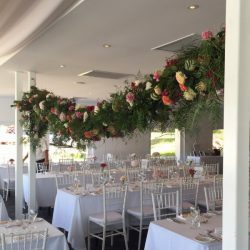 Orso Bayside Restaurant is a stunning waterfront wedding venue at The Spit Mosman. 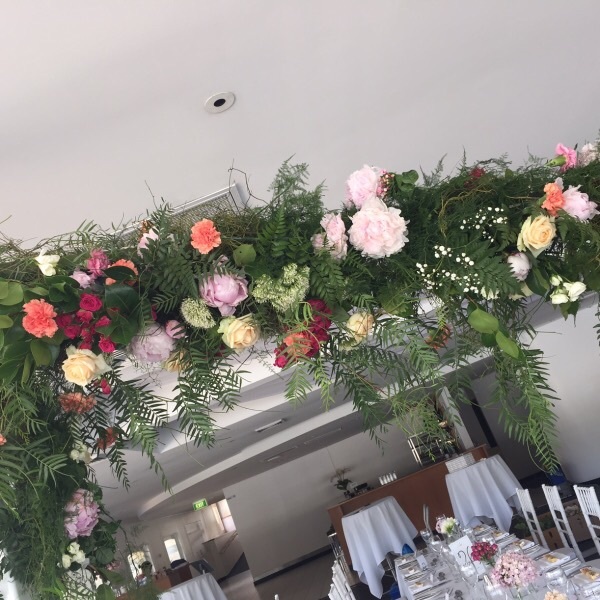 Caroline asked us to create a hanging floral garland – 5 metres in length, to hang from the internal pillars. 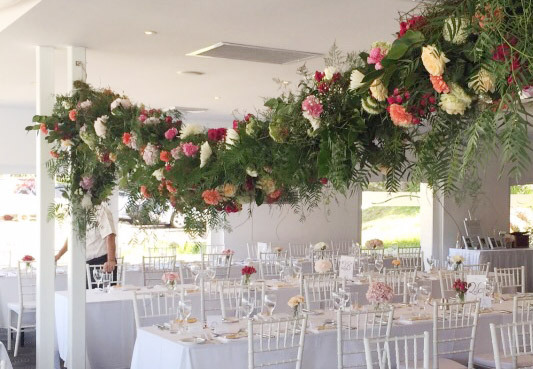 We love a floral creative challenge and just loved the final result. 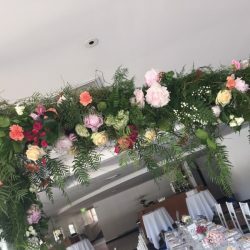 Opulent and the major statement piece of the reception, this garland looked amazing! The tables featured lots of assorted sized jars with random stems of different florals, in the same colours. 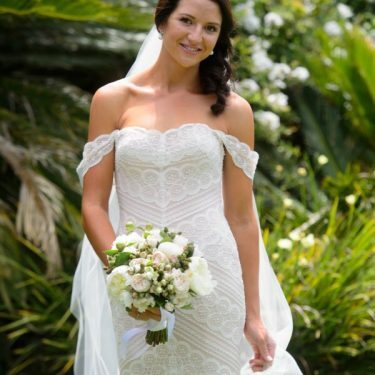 And our lovely couple had a perfect sunny, summers wedding day. 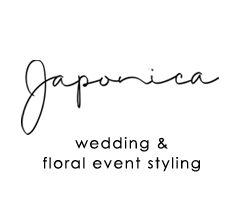 Planning your wedding day at Orso? We’d love to chat florals with you. Credit: Some images courtesy of Creek Street Photography. Others taken by japonica.